BHIMACID DYES are water soluble anionic dyes which are used to dye protein fibers such as Wool, Angora, Cashmere, and Silk, as well the milk protein fiber called Silk Latte, the soy protein fiber called Soy Silk, and the synthetic polyamide fiber Nylon. Attachment to the fibre is attributed, at least partly, to salt formation between anionic groups in the dyes and cationic groups in the fibre. Water soluble Acid dyes are not substantive to cellulosic fibres. Acid dyes sound scary to some novices, who imagine that the dyes themselves are caustic strong acids. 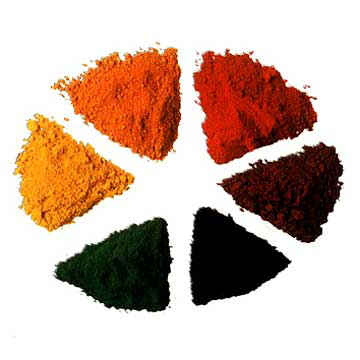 In fact, the dyes are non-caustic, are in many cases non-toxic, and are named for the mild acid (such as vinegar) used in the dyeing process, and for the types of bonds they form to the fiber. Some of them are significantly more toxic than fiber Reactive Dyess, while others are even safe enough to eat, and are sold as food coloring. 3. Super milling or fast acid or neutral acid dyes. 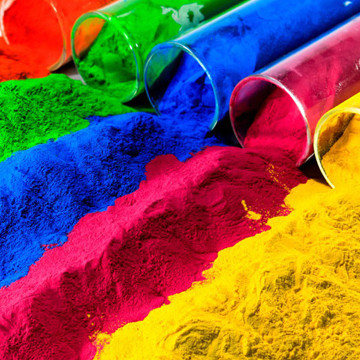 Leveling Acid Dyes have been sold under the trade names of Kiton, Erio, Intracid, Sandolan, and Amacid, among others; they are also the acid dye component of all-purpose or union dyes such as Rit and Tintex, says Knutson. It's difficult now to find out which specific acid dyes fall into which of these dye classes, however. At least part of the reason is that the information is not always useful to the dyer Most histological dyes are classified either as acid or as basic dyes. An acid dye exists as an anion (negatively charged) in solution, while a basic dye exists as a cation (positive charge). © 2017 by BHIMANI GROUP. All rights reserved.